Now THAT’S what we’re talking about. The Steinhatchee waters are going full steam right now. April is always a great month and this month began with a bang. The sheepshead bite was spectacular early in the month, the trout exploded onto the flats and deeper water as well, the redfish were hungry, Spanish mackerel migrated into the area, and cobia came with them. 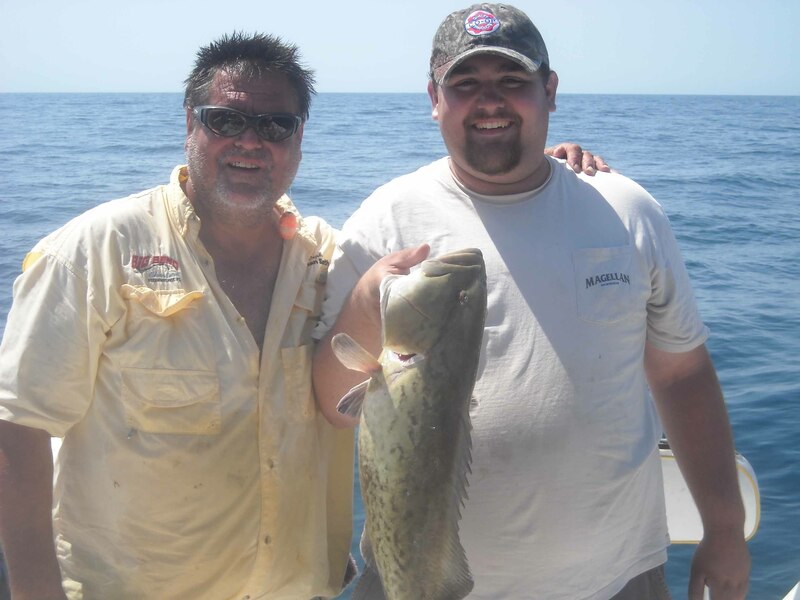 Offshore, gag grouper were open season for recreational anglers and red grouper were cooperating as well. And amberjack provided lots of action for those wanting a great workout. Among the catches found at the docks were the following. 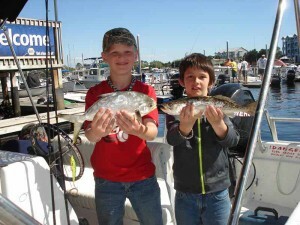 Coby and Andrew, from Texas and Oklahoma, fished with Team Roscoe to find these fine trout. Becky Shelton from Middleburg, Florida fished the Pepperfish Keys and caught this fine trout under a popping cork. 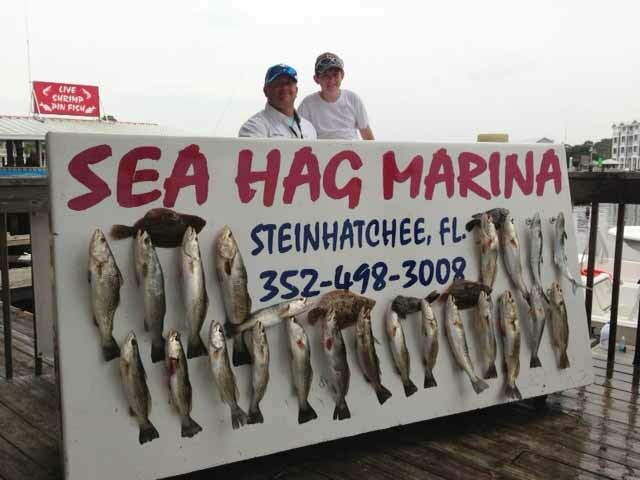 Georgians Noah Mitchell and Ethan Gibbs found pompano and trout fishing from a Sea Hag Marina rental boat. 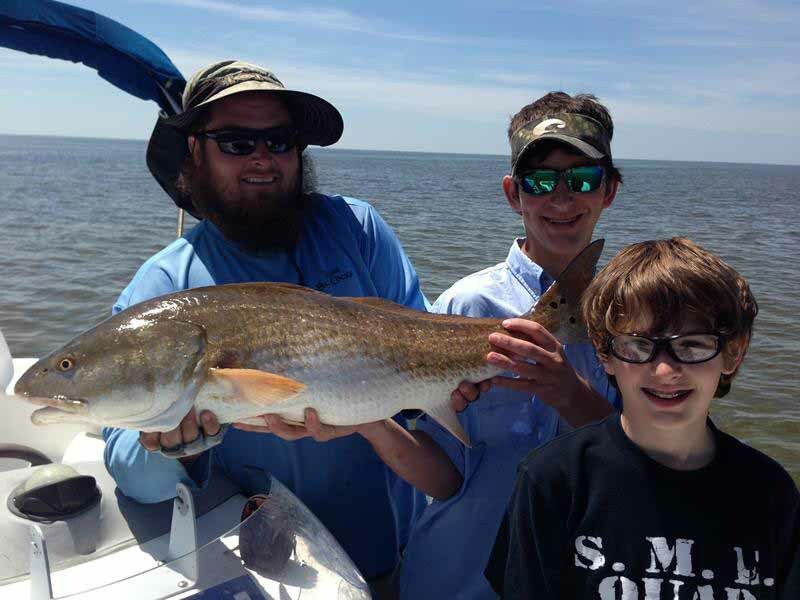 Blue Smith, center, caught this fine 26 inch redfish off Hardy Point while fishing with Dan and Andrew Deaver and Luke Cocke. 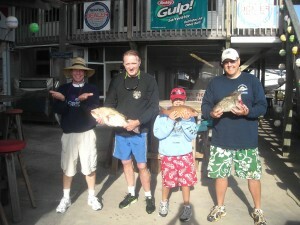 They also scored trout, Spanish mackerel and flounder. Coming from Eaton, Georgia, the Holloway and Garland families with some other friends came in with this great load of trout and flounder. The annual Shands Fishing for Kids tournament was a doozy this year with over 100 boats participating. The winning five-trout bag was over 13 pounds, which is speck-tacular. 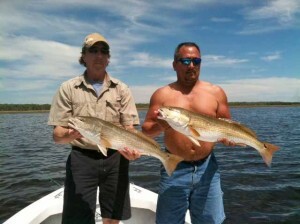 The winning redfish was well over 7 pounds. Another big tournament for our area is the Optimist Club Tournament, taking place on May 4th. Don’t miss this chance to catch some fine fish for a great cause. 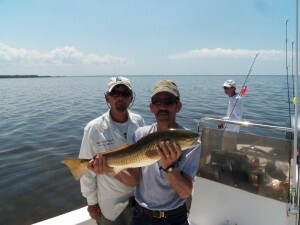 I had several nice trips this month, finding some excellent redfish and trout. My friend John Donohue visited from Venice, Florida and found this fine redfish and several 5 pound trout as well, all on topwater plugs. 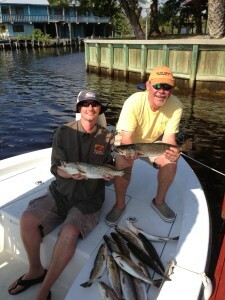 We caught multiple species including a small cobia. 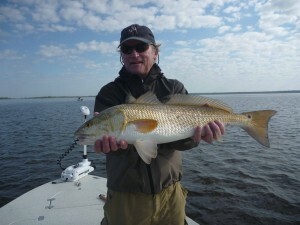 Fred Alt, visiting from Massachusetts, found this perfect 27 inch redfish near Big Grass Island, also on a topwater plug. 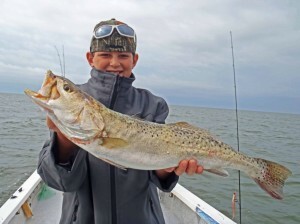 The fishing forecast for May will continue with more of the same. 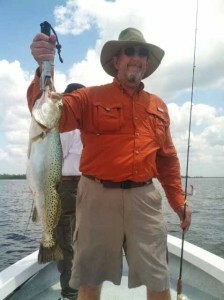 Trout will be found in a variety of depths, from the very shallow flats to deeper water surrounding some of the nearshore bars like Nine-Mile Bank and around the Bird Rack outside of Big Grass Island. 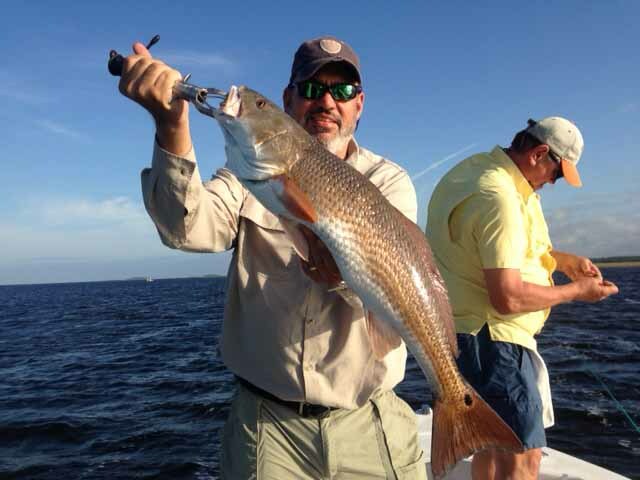 Fish with jigs, Gulp baits or DOA shrimp, live shrimp, or plugs. Use popping corks in water from 3 to 5 feet. 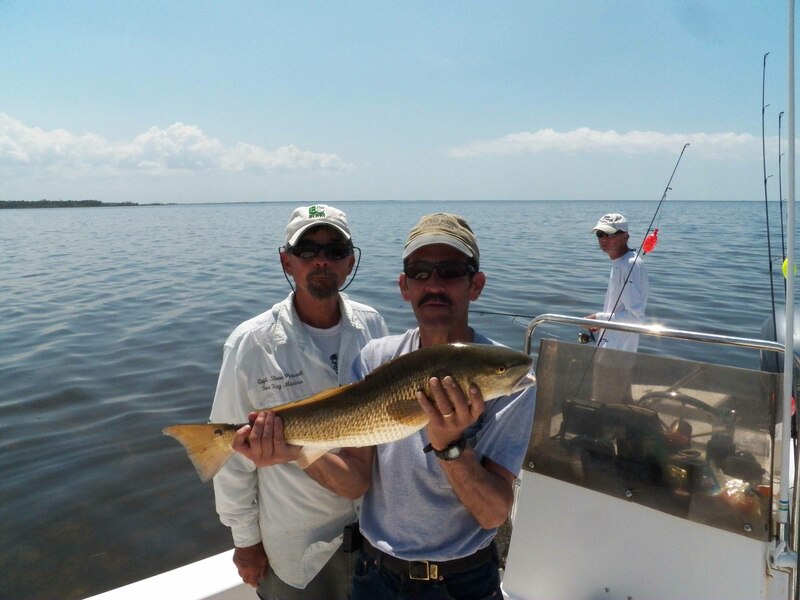 Redfish will be found in the shallows near bars and rocky structure, but keep an eye out for gathering schools in 3 feet of water and approach them quietly. 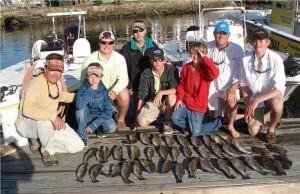 Fish around structure with cut bait or live shrimp, or gold Johnson spoons and plugs. Schools of whitebait have already begun to show up, and with them Spanish mackerel, bluefish, blue runners and lots of ladyfish. Try trolling around the schools of bait with Clark spoons, Floreo bucktail jigs or Mirrolures to locate the Spanish. Make sure you use a 12 inch length of light wire leader to prevent cut-offs. 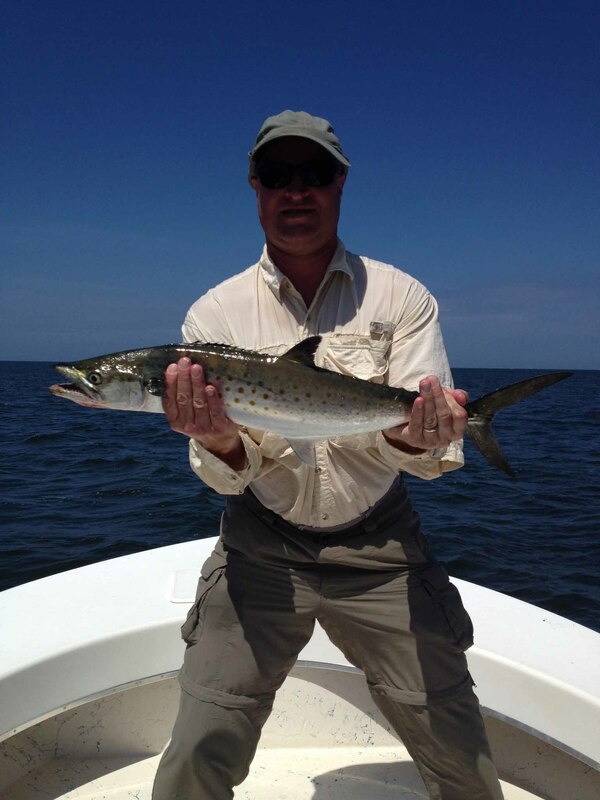 Offshore, the kingfish are making a late arrival but when bottom fishing for grouper or Florida snapper, keep a live bait out under a cork to entice a kingfish or cobia bite. 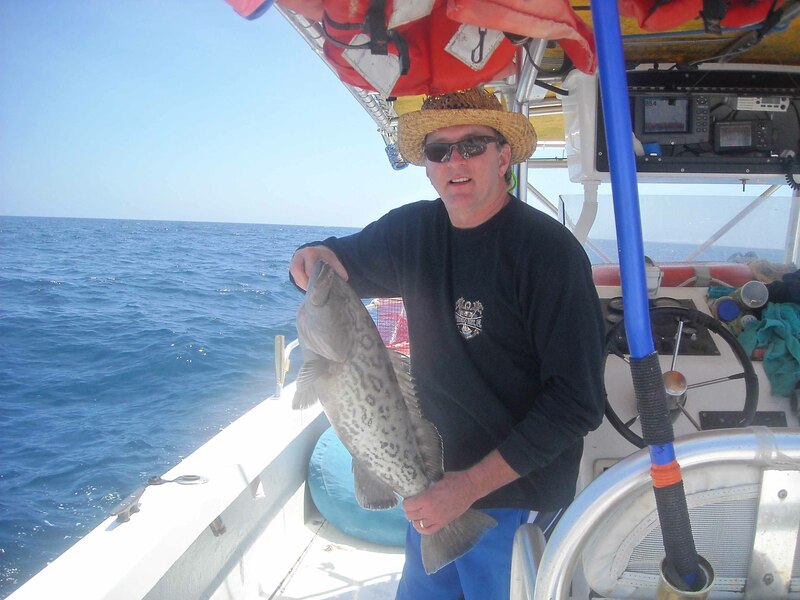 Both gag and red grouper are available to recreational anglers in state waters. Fish cut bait over deep structure in 35 feet of water and deeper. As the waters warm, try trolling deep diving plugs over live and swiss-cheese bottom. Mostly, get out and fish. The next few months will be among the very best times of the year. 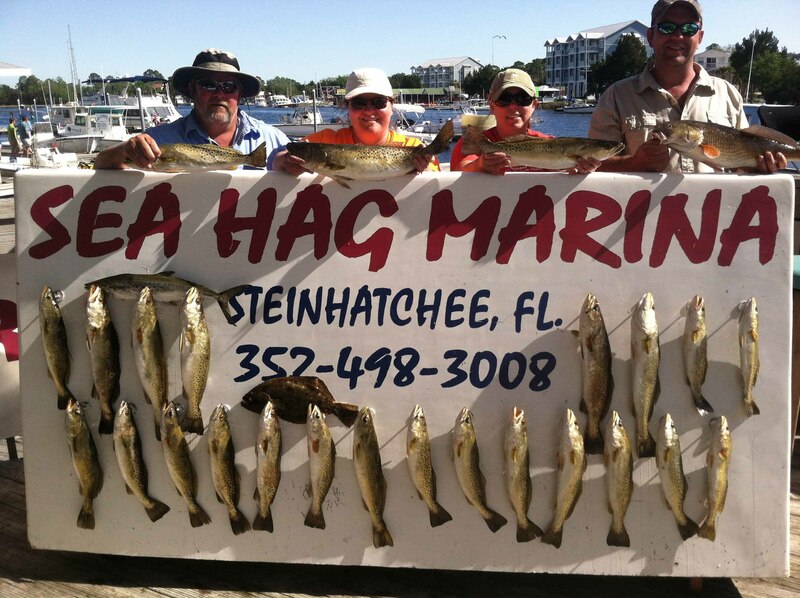 Remember that you can buy all the tackle you need, along with live shrimp and pinfish, at the Sea Hag Marina Ship’s Store, and call anytime for additional information about what is biting and where. April was a great month for fishing the flats. 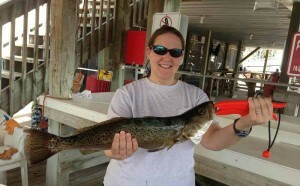 Plenty of trout were found both north and south of the Steinhatchee River. The spring run of Spanish is on with large numbers being taken around the deeper sand bars, including a few in the 6-pound range. Cobia are finally starting to move about the flats also. Look for them on the shallow rock bars or structure. A few schools of redfish are in the coves with lots of keeper size fish. 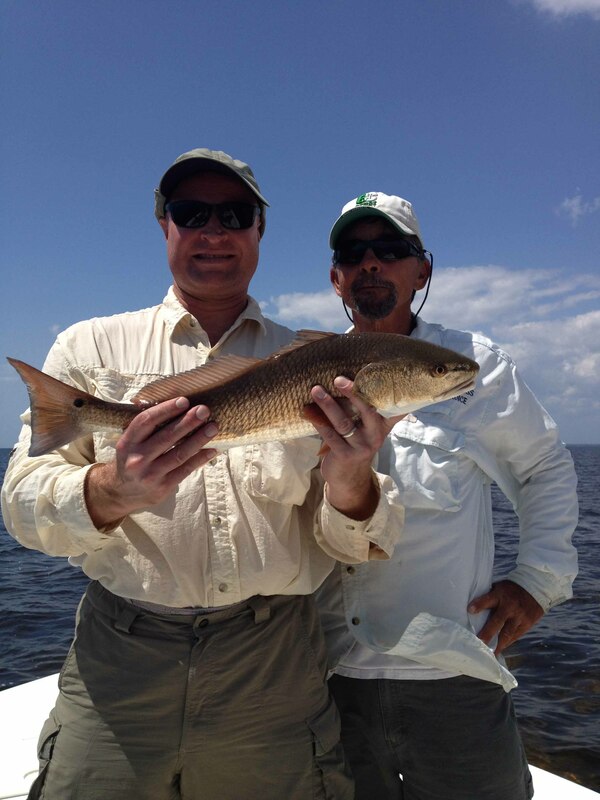 May looks to be a great month for fishing the flats as well. Give me a call; I still have days open for May and June. As predicted April has been an exceptional month on the flats in Steinhatchee. Our clients of all ages have enjoyed limits of trout and reds frequently and we have been routinely catching flounder and Spanish mackerel. Water temperatures have quickly risen to the low seventies creating the perfect “strike zone”. On a trip the weekend of the 20th we drifted into a school of reds and had 5 on at once… the reds that were difficult to get to bite when water temperatures were 5 – 10 degrees cooler are now on point gobbling up just about anything that comes along. The stand-by bait has been that cheap piece of iron know as the Johnson Gold spoon. I once read an article that asked fisherman from Texas to North Carolina if they could take one artificial bait red fishing what would it be … the stand out winner was the Johnson Gold Spoon … don’t worry folks they have plenty of them in the Sea Hag’s Ship’s Store. That’s not to say that we haven’t been catching them under float rigs with Gulp, cut bait, and jigs, but at the moment the spoon seems to be an attractive bait. As location goes they seem to be everywhere. Reds are found closer to the shoreline and trout in deeper water as is generally the case. 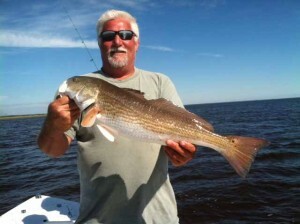 Plenty of slot size reds are in the area right now as well as those oversized models. Oops … I almost forgot the trout bite! 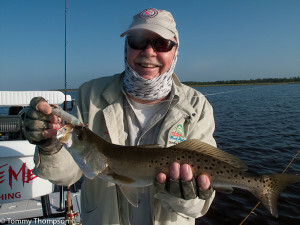 Some of the biggest trout I have seen are coming aboard one after another. 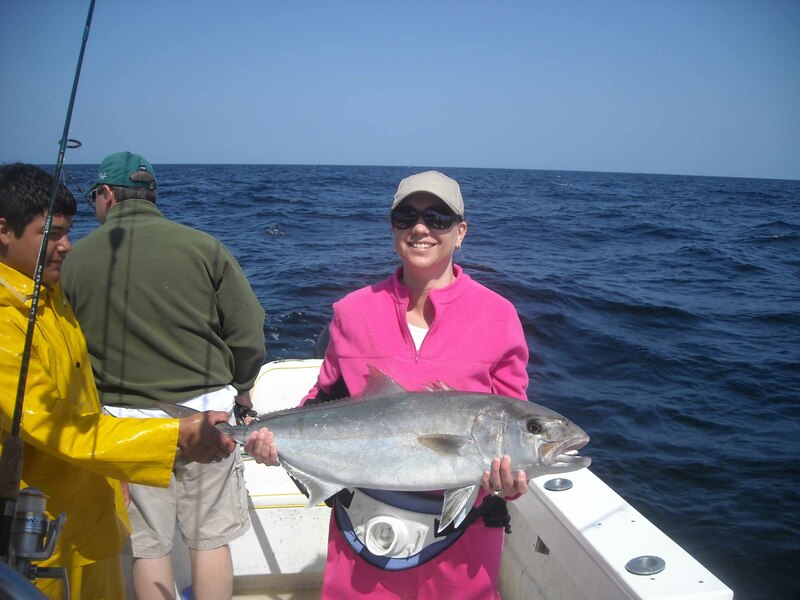 If you think I’m telling a fish story, check out these photographs. 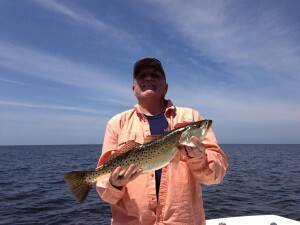 Expect the fishing to continue to improve and pray to the fishing gods that our weather remains mild as this will greatly extend our peak fishing season well into the later part of June. Giving those seeking ichthyologic pleasures you have plenty of time to call Hooked on Reds charters and enjoy what some Steinhatchee locals are describing as the best bite in 20 years! People ask when is the best time to come fishing? I respond, in the spring, May. It is a “no-brainer” answer. 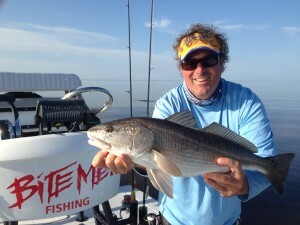 The inshore fishing is hot as a rocket. Offshore, grouper are open with stipulations (check the regulations). And the pelagic fish, kingfish, cobia, Spanish mackerel all the way to jumping ladyfish are blasting. 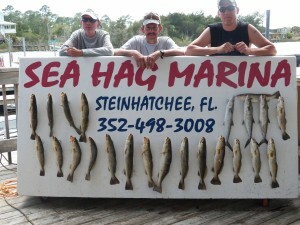 May is a great time to come to Steinhatchee and wet a line. I don’t spend enough time inshore fishing to scribble about where, when and how, but I do see the loads of trout, redfish, Spanish mackerel and such on the cleaning table at the end of the day. It is obvious; the flats fishing is happening. In addition, the inshore fishermen are the first to talk about cobia that tried to eat their trout or luck out and bring one in on light tackle. Offshore is my main stage. 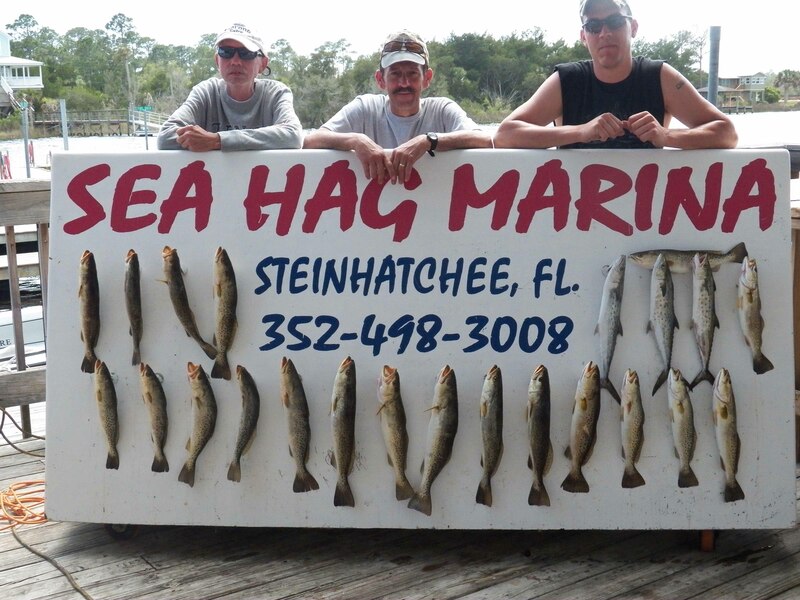 Fresh live bait is the platinum bait. I’ll spend as much as an hour collecting fresh hook wigglers. The best bait in the world is confidence! Quality live bait gives me confidence for a reason. Amberjack are a playful fish. They love to play cat and mouse with a lively bait. 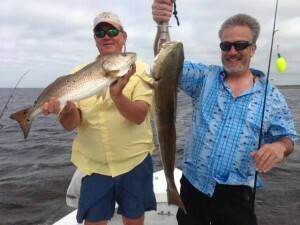 People catching ‘reef donkeys’ are having a great time; multiple hook-ups make it a boat party. If you don’t have live bait, colorful jigs (white and chartreuse) adorned with matching curly tail grubs work fine. For those willing to drop ~$16 each, vertical jigs (1-3 oz) are golden in bright colors. They will outcatch fish on the jig, if worked vigorously and well. Grouper fishing is good and improving. The best baits are fresh live or cut. Frozen box bait will work as well. 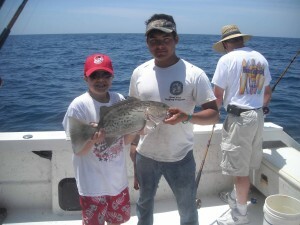 Expect to catch plenty of catch-and-release fine gag grouper while going for harvestable red grouper in federal waters. 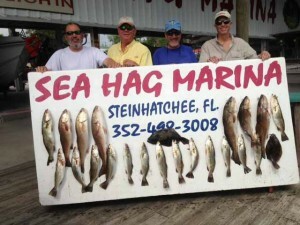 The gag grouper regulation is asinine; there is no shortage. 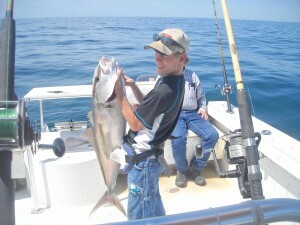 My favorite fish, cobia, are now found and will increase in number on high relief spots in May. One of the best baits is a live blue runner. If nothing else, have a large spinning combo, free-line ready, to pitch a livey, cut bait, whole squid or jig to a cobia that simply volunteers itself boat side. You are welcome to call (352-498-4081) for information. Good fishing to all. 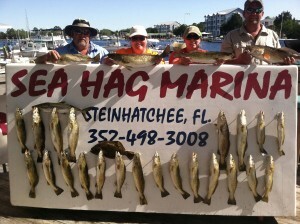 May and June are probably the best months when it comes to lots of catching at Steinhatchee. As I said in a recent Florida Sportsman Big Bend Fishing4Cast, the flats have come “alive” and the “world has turned to trout”! 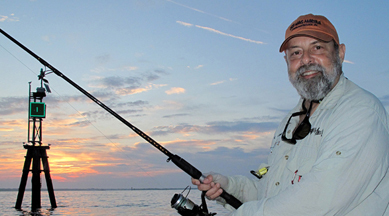 With the waters warming, it’s a great time to toss artificial lures like D.O.A. shrimp or hard baits (I like MirrOlures) with light spinning tackle. It’s also a great time to throw flies, provided the wind isn’t a hindrance. Even if it’s windy, drifts across our lush grass flats provide plenty of action for anglers of all skill levels and ages. 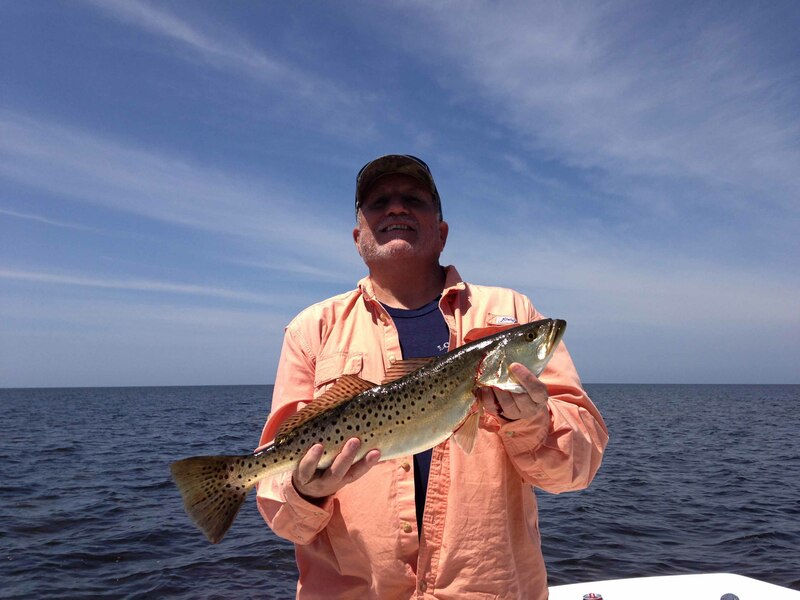 Recent trips have provided lots of “mixed bags”, including seatrout, redfish, Spanish mackerel, flounder and even a few “junkfish” that are fun to catch but not so good to eat! I’d love to have you aboard “Photo Opportunity” for a day on the water. I don’t take large crowds, as she’s a small flats skiff, but there’s lots of fun to be had. 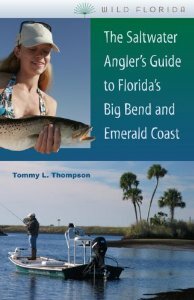 If you’re planning a trip to Steinhatchee with you own boat, you might want to get a copy of my book, The Saltwater Angler’s Guide to Florida’s Big Bend and Emerald Coast, at the Sea Hag’s Ship’s Store. It will give you lots of hints on fishing our area.